In this article, we provide an instruction on how to recover individual files from the image based backup. It is important to note that CloudBerry Unlimited will only download the selected files from the cloud, there is no need to download the whole image. Thus, Cloudberry Unlimited significantly reduces restore time and cuts on outgoing transfer costs. 1. Launch Application, navigate on Backup Storage > Disk Image. 2. 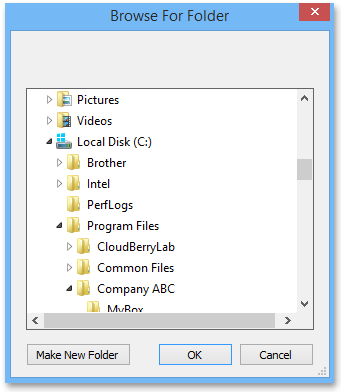 Right-click on the system image file and select File Level Restore option. 3. You will see the list of volumes that are included in the system image backup. 4. Expand the volumes and find the individual files you would like to restore from the system backup. Right-click on the files and hit Restore to. Note: You can restore the entire folder with all the files inside it. Just right-click on that folder and hit Restore to. 5. Choose the location you want to restore the files to and click OK.
6. You will see the following notification message. 7. To review the restore plan, go to Restore Plans tab where you can manage all the restore plans you have created. The green progress bar indicates the current progress of the data restoring. That's it! Now your restore plan is up and running and you can take advantage of the file level recovery from image based backup with CloudBerry Unlimited solution!